Chiropractic care can do a world of good for your health, and in many more ways that you might imagine. This natural healing method focuses on restoring the spinal column, and therefore the nervous and musculoskeletal systems, to their proper balance. By accomplishing this, we help the body make full use of its own healing potential to resolve pain, stiffness and a variety of other challenges. Here at Dr. Phillips Chiropractic, Nutrition and Wellness. 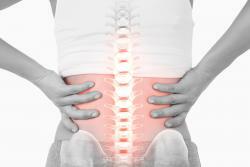 Dr. Donald Philips combines spinal adjustment with other non-invasive healing techniques to help you get well, stay healthy and enjoy optimal quality of life. Spinal adjustments have existed for thousands of years, but the modern science of chiropractic care can be dated to 1895 with the establishment of modern chiropractic work by Daniel David Palmer. Since that time, many variations and styles of adjustment have evolved, but the principal goal remains the same -- to correct spinal misalignment, or subluxation, that inhibit health and cause discomfort. The spinal column surrounds the spinal cord and the major nerve roots that supply communication to all parts of the body, and even a slight vertebral or disc misalignment can get in the way of that communication. Unnatural pressures on the spinal cord, nerves or nerve roots may interfere with nerve signals, disrupting normal physical functions while producing pain and other symptoms. By straightening out alignment errors, our San Antonio TX chiropractor relieves the underlying cause of your complaint. Acute Pain and Injury - Auto accident injuries, personal injuries and other acute situations can create painful alignment problems that cause symptoms throughout the body. Chiropractic care can enable normal healing to commence and help prevent the buildup of unnatural internal scarring. Age-Related Conditions - Chiropractic adjustment can help with everything from pregnant woman seeking prenatal chiropractic care to treatment of degenerative joint conditions such as osteoarthritis. Chronic Pain - Many conditions such as fibromyalgia, migraines, tension headaches and sciatica can be relieved through periodic chiropractic sessions that help normalize nerve function (including your sensitivity to pain signals). Systemic Diseases - Improper nerve signaling can impact every of physical function, from digestive or reproductive health to immune response and disease resistance. Chiropractic care may help a longstanding systemic problem you were prepared to "just live with." Preventative Wellness - We offer preventative chiropractic care in the form of regular screenings and "maintenance adjustments" to keep you strong, mobile and well. For more information about Chiropractic Care at Dr. Phillips Chiropractic, Nutrition and Wellness, give us a call today at (210) 545-1144!